In our travels around southwestern Ukraine we ended up in the city of Ivano-Frankivsk twice but we never spent the night there. Instead Laura had some interviews there [with me awkwardly sitting in the back of the room understanding about 2% of what was going on]. 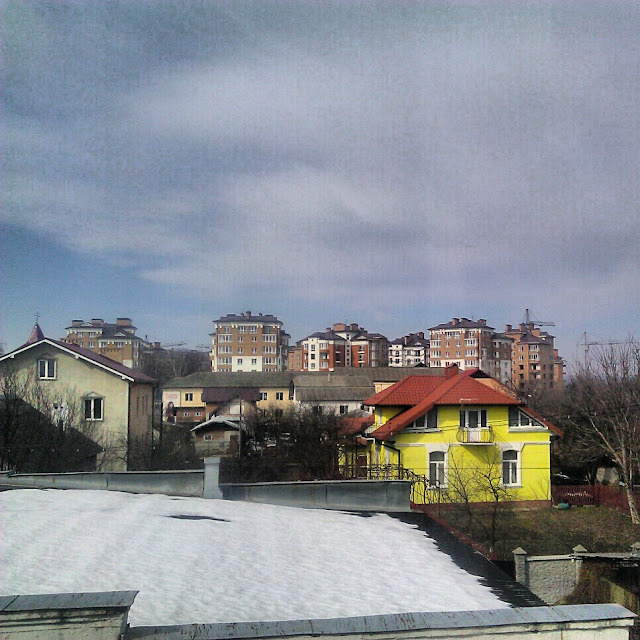 I snapped this photo from the office building window where one of the interviews took place and I enjoy the bright yellow house in the gloomy Ukrainian hillside.